Have a Geeky and Fit Valentine’s Day! Happy Valentine’s Day, folks! Here in the Keeton household, we love Valentine’s Day. And by love, I mean that we do something doofy for the holiday most of the time. 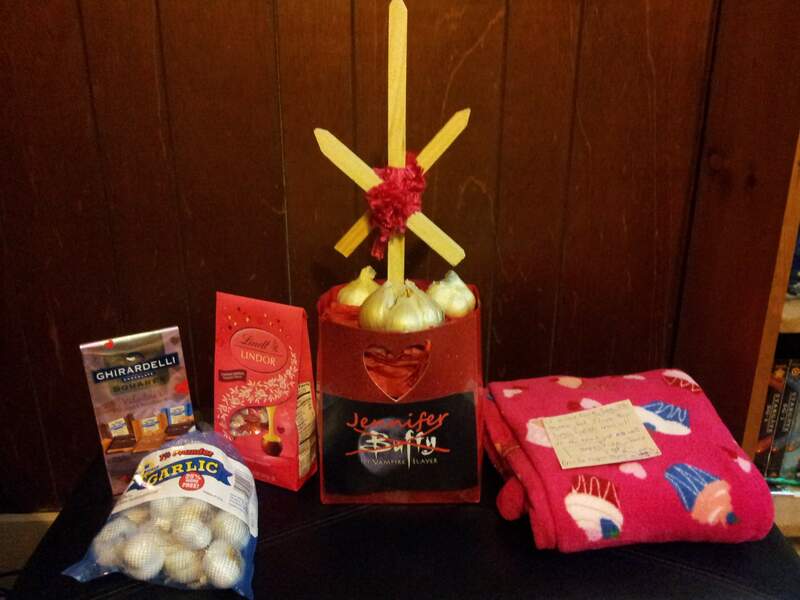 This year, I made my wife a vampire-slaying bouquet with some garlic and wooden stakes. See? Awesome. And she got me some awesome tickets to an improv comedy show in Nashville this Saturday. I can’t wait! Seriously. I love improv! If you’re looking for something awesome to do for V-day or this weekend, I did a bit of snooping around the interweb for you, and I found a few cool ideas. I mean, why should I be the only one getting to enjoy the awesomeness, am I right? Have you thought of couple’s yoga? And if yoga isn’t your thing, why not try just a simple, two-person workout? I know my wife and I love being able to go for runs together, and I’m trying to convince her to do yoga with me. Or maybe your significant other is a runner. The Salty Runner has 5 great ideas for your runner Valentine. Not a runner? No big! That doesn’t mean you can’t have healthy and fitness-inspired V-day gifts! 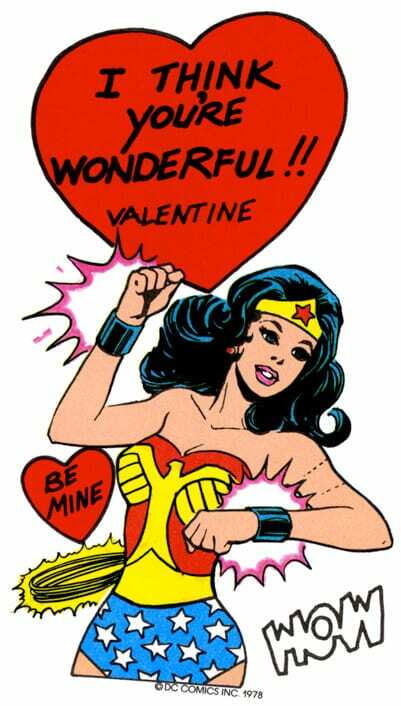 I hope your V-day is awesome and wonderful and healthy.